It seems like it starts earlier each year. Just as soon as Halloween ends, the holiday season officially kicks off. Store shelves start filling up with Christmas decorations, gifts and food. The red cups are back at Starbucks. And this year my Instagram feed is already filling up with images of homes decorated for the holidays. I’ve even seen a few decorated Christmas trees already. The real key to a stress-free holiday is to figure out what matters most to you and your family, and then build a plan around those essential ingredients. Knowing your holiday priorities is the best way to not get swayed or stressed out by other people’s or businesses ideas of the ideal holiday season. Otherwise, you can fall into the comparison trap. Fortunately, years ago I decided to take the stress out of the holidays. How did I do it? By developing a holiday planning system that enables my family and I to focus on what brings us the most joy this time of year. The great thing about this plan is that it’s adaptable each year as my kids get older and our priorities change. I’m so glad that I have this plan to fall back on this year, because my desire to have a stress-free and joy-filled holiday season is greater than ever. With everything Jay went through, coupled with the knowing that we have just a few years left before the holidays mean kids coming home from college, I want to make this year’s season extra special. I know my planning system will help me do just that. Start by thinking about your ideal holiday season. What does it look like to you? If it means a tree up at the start of November, awesome! Own it! Then consider what is important to your family. Spend some quiet time thinking about this, talking about it with your important others and capturing your thoughts and ideas on paper. 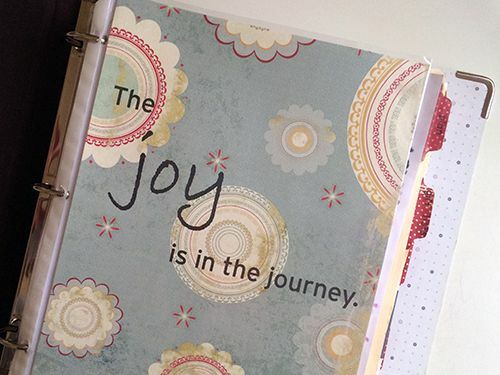 Turn your thoughts into a list of activities that will fill your holiday season with joy. Also be sure to add any must-do tasks to the list, as those, when forgotten, can be a big source of stress. 2. Schedule the big stuff. Pull out your calendar and decide when the most important holiday events and activities will happen. Consider carving out time for the must-do tasks, but even more important, schedule time for the events that rose to the top as being most important to you and your family. For example, getting a tree is one of my family’s favorite holiday traditions. However, between Kailea’s birthday and Collin’s work schedule, without some planning it could get stressful trying to figure out when this annual event might take place. If we pick a date now and plan around it, it’s sure to happen! I’m not suggesting that you need to decorate your home this weekend (unless of course you want to), but instead, start the conversation and planning. Begin making a holiday to-do list that includes the things that really matter to you and yours. And start staking a claim to time on your calendar for those events that make your holiday season meaningful and enjoyable. If you’d like to get your hands on a simple and effective holiday planning system, one that allows you to take the stress out of the season and do it on your terms, then here’s some good news. We just added our Get Organized for the Holidays eBook back to our online store. One of the things you’ll do in Get Organized for the Holidays is make a holiday planning binder—one you can use year after year. I’ve been using mine for years, and just pulled it out today. I’m excited to refine and customize my plan according to this year’s priorities. You will love your planning binder, I promise you that! Let me know if you have any questions about the eBook, and whether you decide to download it or not, be sure to take some time today to begin thinking about, and getting ready for, the best holiday season yet. Happy organizing and happy holidays! 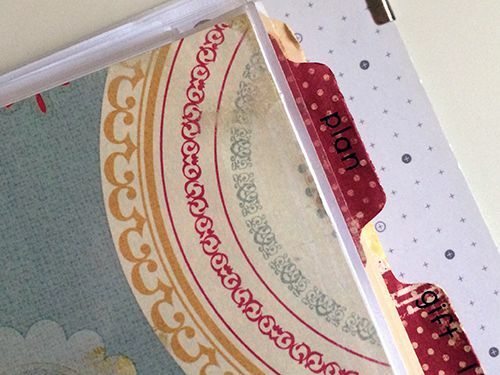 Aby, I so love my Get Organized for the Holidays planner. 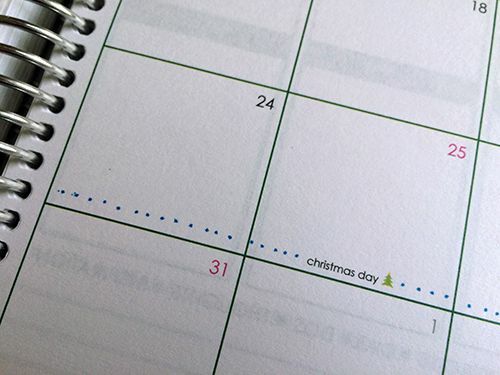 I’ve used it for 6 years now and truly love how it has simplified our holidays. I am going to have to do a major update to the binder (particularly my decorating section) because we moved from Ohio to Florida and are now in a house half the size of our old house. However, with the pictures in the planner, I can begin thinkng about where I want to put the decorations, and although it is a different house and a different climate, we will be able to re-create our holiday feel without a ton of stress. Thank you so much for helping our family see how stress-free we can make our holidays without losing our traditions along the way. Thanks so much for your comment Nonny! It’s great to hear from you. How fun that you have a guide to help you recreate the holiday feel you had in Ohio in your new home and climate. Happy holidays to you!! I can’t find the step to make my holiday planner. Do you have the Get Organized for the Holiday’s e-book? If so, I can’t point you in the right direction. There are some great tips in here! Love it!! I love all your organization ideas, and I’ve always been a list maker. Thanks. Great tips, Aby! Planning and agreeing on what’s important as a family are so helpful. We’re focusing on getting out and experiencing new places and nature this year instead of acquiring. We’re also making a point to contribute to causes that are important to us. Our kids are older, like yours – a couple of years away from college – so experiences as a family are more meaningful than toys, etc. Happy Holidays! Definitely good ideas and always best to set a schedule as far as when you want to start. A lot of great things here to consider. Starting with a list is number 1 and sticking to it. Thank you for the ideas! No matter how early I start getting ready, I never feel prepared! Great tips. Will have to try these. Thanks for the tips! That’s a great ideas.